Coparenting is conceptualized as a construct decoupled from gender role and family structure, referring to negotiated activities and relational aspects of two caregivers working together to raise a child. 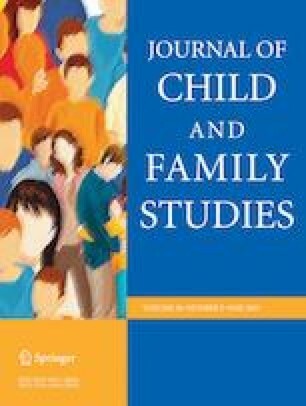 The purpose of this study is to test the construct validity and internal consistency of a newly constructed coparenting measure in a sample of parents with minor children still living in the home. Two hundred fifty-two parents completed a SurveyMonkey questionnaire online. Despite efforts to recruit a diverse sample, this pilot drew a Caucasian, educated, mostly female sample. They were more diverse in terms of marital status, hence the focus for this pilot. Psychometric properties of the 56-item CoPAFS scale and the 9 subscales composing the measure were calculated on the basis of the total sample. Confirmatory factor analyses (CFA) were conducted with a maximal likelihood estimation method for each of the 9 subscales. All domains were significant and ranged between .641 (Facilitative coparenting and Conflict) and .952 (Respect and the CoPAFS as a whole), and internal consistency was stable across family structures (cohabitating or separated). Good model fit was obtained across family structures, but gender comparisons will need to await a more diverse sample. Although distinct domains of coparenting were assessed and found to predict the model, the findings point to the importance of identifying a singular dimension underlying coparenting. This may best enable agencies to assess partners’ valuing of and potential to work together in child care. Implications for interventions are briefly discussed. The online version of this article ( https://doi.org/10.1007/s10826-019-01370-3) contains supplementary material, which is available to authorized users. MKP and MS designed and executed the study, assisted with the data analyses, and the writing of the paper. JA and AS collaborated with the data collection, analyses, and editing of the final manuscript paper. The study was approved by Smith College Research Ethics Board. Luxton, M. (2011). Changing families, new understandings. The Vanier Institute of the Family. http://vanierinstitute.ca/wp-content/uploads/2015/12/CFT_2011-06-00_EN.pdf.